Percona is glad to announce the release of Percona Server 5.6.28-76.1 on January 12, 2016. Download the latest version from the Percona web site or from the Percona Software Repositories. 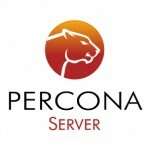 Based on MySQL 5.6.28, including all the bug fixes in it, Percona Server 5.6.28-76.1 is the current GA release in the Percona Server 5.6 series. Percona Server is open-source and free – and this is the latest release of our enhanced, drop-in replacement for MySQL. Complete details of this release can be found in the 5.6.28-76.1 milestone on Launchpad. Clustering secondary index could not be created on a partitioned TokuDB table. Bug fixed #1527730 (DB-720). When enabled, super-read-only option could break statement-based replication while executing a multi-table update statement on a slave. Bug fixed #1441259. Running OPTIMIZE TABLE or ALTER TABLE without the ENGINE clause would silently change table engine if enforce_storage_engine variable was active. This could also result in system tables being changed to incompatible storage engines, breaking server operation. Bug fixed #1488055. Setting the innodb_sched_priority_purge variable (available only in debug builds) while purge threads were stopped would cause a server crash. Bug fixed #1368552. Small buffer pool size could cause XtraDB buffer flush thread to spin at 100% CPU. Bug fixed #1433432. Enabling TokuDB with ps_tokudb_admin script inside the Docker container would cause an error due to insufficient privileges even when running as root. In order for this script to be used inside Docker containers this error has be been changed to a warning that a check is impossible. Bug fixed #1520890. InnoDB status will start printing negative values for spin rounds per wait, if the wait number, even though being accounted as a signed 64-bit integer, will not fit into a signed 32-bit integer. Bug fixed #1527160 (upstream #79703). Other bugs fixed: #1384595 (upstream #74579), #1384658 (upstream #74619), #1471141 (upstream #77705), #1179451, #1524763 and #1530102. 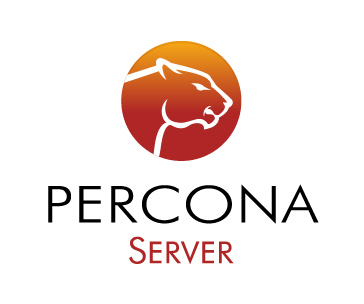 Release notes for Percona Server 5.6.28-76.1 are available in the online documentation. Please report any bugs on the launchpad bug tracker .